OLD PARKED CARS. : 1989 Chevrolet Astro Van Chinook Custom Camper. 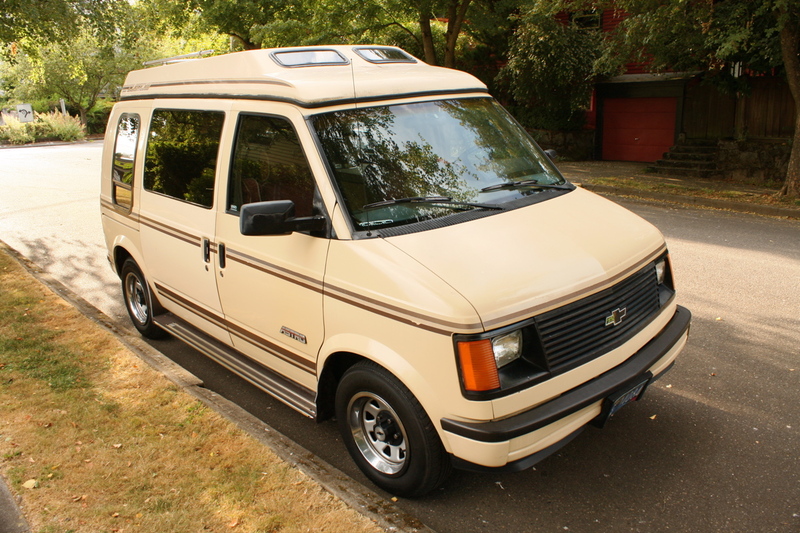 1989 Chevrolet Astro Van Chinook Custom Camper. The best Astro in any movie has to be either the one that drives by in Wayne's World that causes both Wayne and Garth to say "Car!" and then "Game on!" 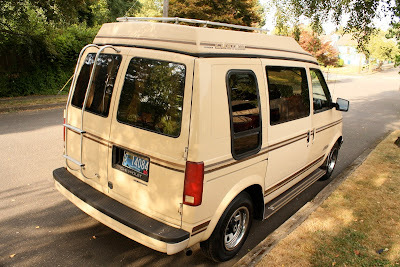 or the one in Brick that has a functioning lamp in the back haha. because as kids their mothers would say "when you grow up you're going to work'. Probably not a camper, but simply a conversion van. 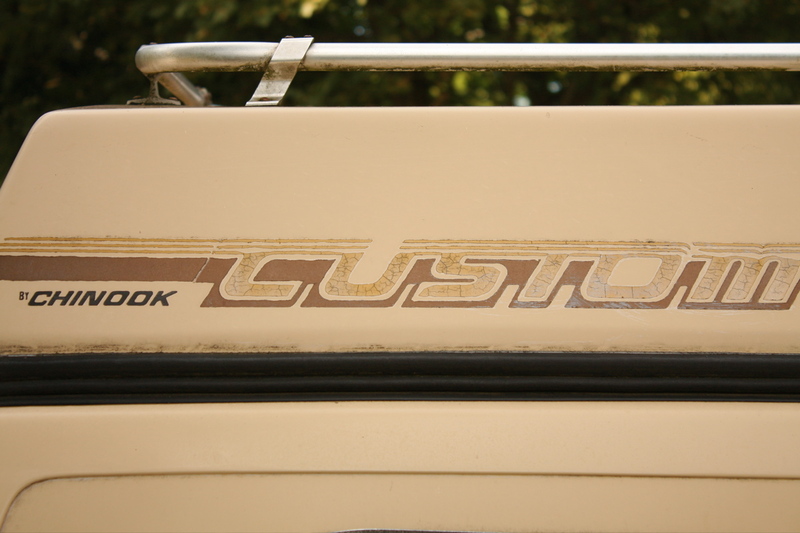 Love that paintjob, puke tan and crap brown pinstripes-the tradition American RV/camper color scheme. 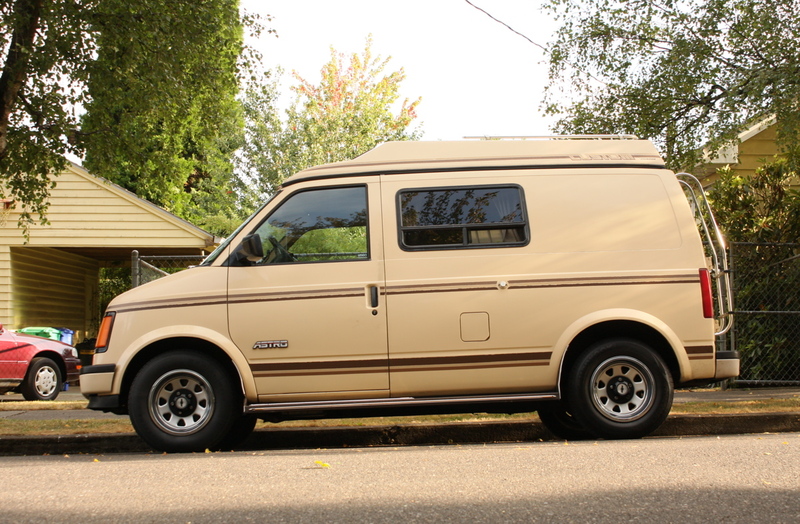 Looks like a pop top camper van. Id like to see it with the top up.